Happy Monday!!! 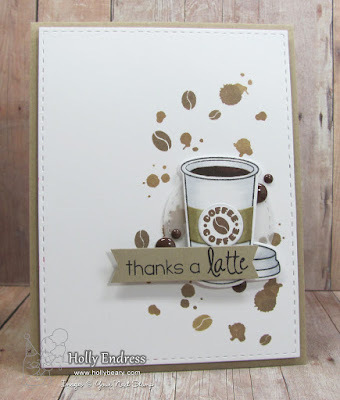 Today on the Your Next Stamp blog it's our Feature Day and this month it's all about Coffee, Tea & Friendship! 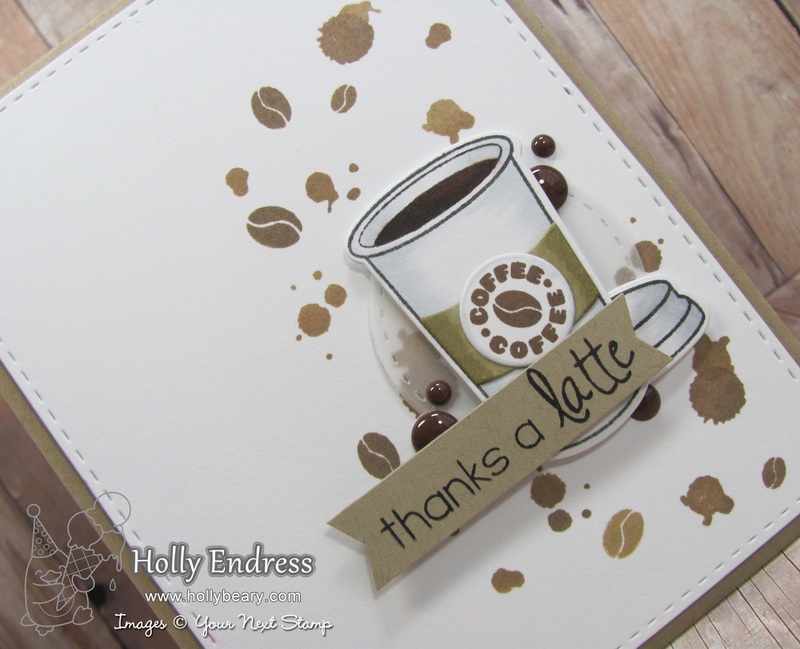 I'm using the Thanks a Latte set and coordinating Dies. I die cut a White panel using the Large Stitched Rectangle Die and then I stamped several of the images from the Coffee Rings stamp set using a Brown Ombre Ink pad. I attached the White panel to a Kraft top folding card base with some foam tape. I stamped the Coffee cup and accessories onto a piece of White card stock and colored it in with Copics for some shading and then I added a stitched Vellum circle behind it, die cut form the Large Scrap works die. I wanted to created a cluster for the focal image. I adhered the image down with foam adhesive and I added the sentiment banner. For a little extra pop of color I added a few of the Love me a Latte Gumdrops. Head over to the YNS blog to see what the other Design Team members created and be sure to leave a comment while you are there for your chance to win a stamp set of your choice!! Fantastic card! I can smell the coffee from here!! What a Fabulous Thank you card!!! I love the soft, pretty earth tones in your card! Wonderful!